This is a very rare find from the battlefield it is a very large section with black undercoat paint and cream colour paintwork from inside the tank of 26mm Armoured plate from the under belly of a German Tiger 1 Tank.The plate has been ripped off in an explosion it has been cleaned and still retains a lot of original colour including nice clean weld the plate is rusty but still very solid also very heavy and is perfect for display or any collection and is a very hard to find large section of Tiger armour 26 inches long by 12 inches wide.This section of plate comes from around the large inspection cover underneath the middle of the Tank which i have shown on the last photo on the listing .This section of armoured plate has been recovered from a tank destroyed the the area of the Town of Wolomin which was the largest Tank battle in Poland fought from the 1st until the 10th August 1944 as part of the Russian offensive on Warsaw.The item comes with 2 A5 laminated information cards with map and photos.This is the largest section of Tiger 1 armour i have ever had from the battlefield and you can place it back on the Tank exactly were it has come from. After crossing into Poland, the Red Army's 1st Byelorussian Front continued its advance towards Warsaw. The 65th Army (12 divisions) together with the attached 1st Guards Tank Corps, was to advance towards the town of Serock and then outflank Warsaw from the north. After the Russian reconnaissance units reached Warsaw in late July, on 1 August 1944 the Warsaw Uprising started. The 3rd Tank Corps (part of the Soviet Second Tank Army) thrust northwest through Okuniew and Wołomin to Radzymin. In response to this thrust, the Germans started a tactical counter-attack near Radzymin on 31 July. The offensive, carried out by 4 understrength Panzer divisions, was to secure the eastern approaches to Warsaw and Vistula crossings, and aimed to destroy the three-tank corps of the Second Tank Army in detail. Under the leadership of German Field Marshal Model, the 4th, 19th, Hermann Goring, and 5th SS Panzer Division were concentrated from different areas with their arrival in the area of Wołomin occurring between 31 July and 1 August 1944. Although the 3rd Tank Corps gamely defended the initial assaults of the Hermann Göring and 19th Panzer Divisions, the arrival of the 4th Panzer and 5th SS Panzer Divisions spelled doom for the isolated and outnumbered unit. Attempts to reach the doomed tank corps by the 8th Guards Tank Corps and the 16th Tank Corps failed, with the 8th Guards Tank Corps taking serious losses in the attempt further combat lasted until 10 August, when the Germans finally withdrew. Soviet losses were heavy near the town of Radzymin in the vicinity of Warsaw, part of which entailed a large tank battle at Wolomin. 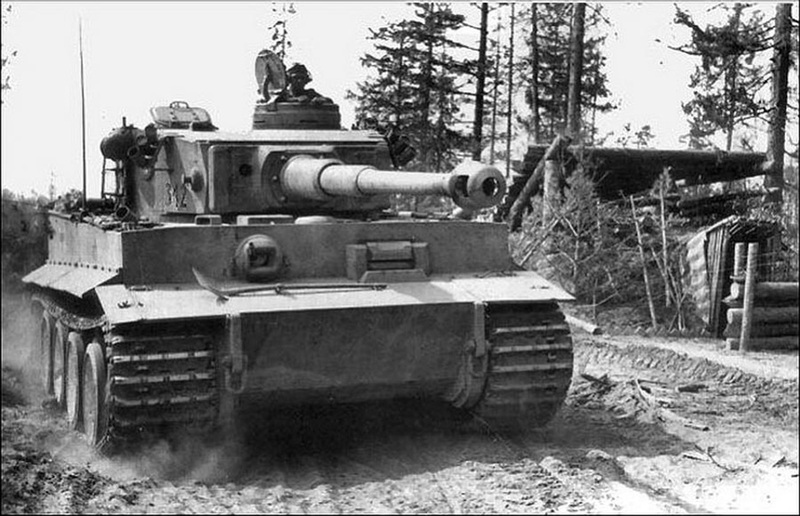 It was the largest tank battle on the territories of Poland during World War II. Below Stug 3 in Warsaw during the uprising and map of the battle.